Whether you are looking for a mouth-watering dining scene, miles and miles of beaches, booming nightlife, eco-adventures or a unique cultural experience – you’ll find it in Jacksonville. Explore the Undiscovered: Escape the city life into Jacksonville's natural playground. 365 Days of Beach Life: Jacksonville's beaches are open year-round, and the best part is that while the rest of the nation cools off our weather remains flip-flop perfect, Jacksonville has over 300 days of sun a year! Sketch That! 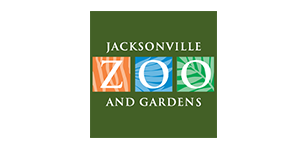 : Jacksonville is one of the Top 20 Cities for art and culture in the nation. We have the Museum of Contemporary Art (MOCA), the Museum of Science and History (MOSH), The Cummer Museum of Art and Gardens, a Broadway Series and The Alhambra - one of the last remaining dinner theaters in the nation. Delight Your Taste Buds: From fine-dining delicacies to down-home fish camps, Jacksonville has a whole world of flavors sure to delight anyone. And to wash down all that tasty food, we have eight local breweries on the Jax Ale Trail making award-winning beers that are sure to quench any thirst. To find out more about what makes Jacksonville unique and the perfect destination, visit www.onlyinjax.com!